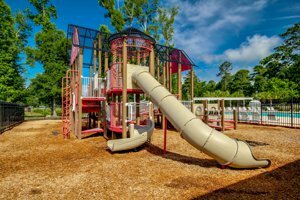 Your move to Myrtle Beach will put you up close and personal to a plethora of activities that are sure to keep you physically fit and mentally alert. 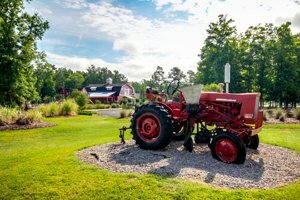 From the beautiful, white sand beaches to the Carolina blue sky where you can parasail or just watch the seagulls glide along the surf, you’ll never be bored or wonder what you can do in your leisure time. 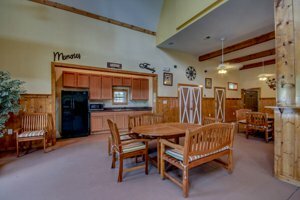 You can rent kayaks or bring your own, race along on a jet ski, or schedule a fishing charter to try your hand as an angler. 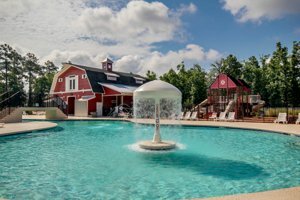 Our restaurants offer a myriad of cuisines, our shopping malls provide you with exceptional bargains, and the entertainment venues host live performances that are first-class. And keep in mind that over 100 golf courses are ready for play. 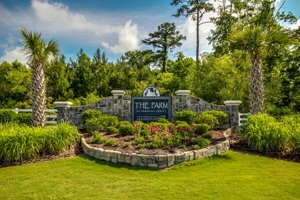 The uniqueness and beauty of this “farm” community is only the beginning when it comes to great value for your investment. 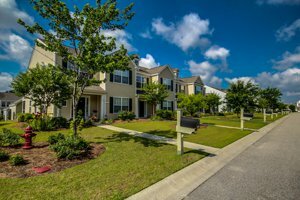 Even though it’s predominantly single family properties, you can find condos and town homes if you’re searching for your first home or an excellent place to retire. 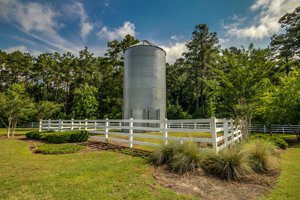 Homes at The Farm range from 1200 to over 4000 square feet of heated living space. 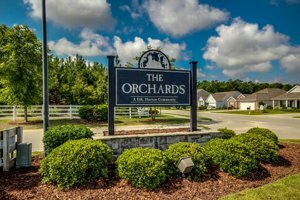 You can select from over twelve distinct floor plans that are open, inviting, and great for entertaining family and friends. 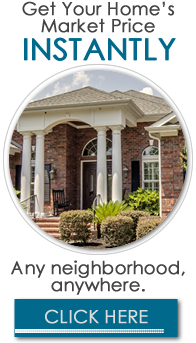 Your home will feature plenty of upgrades, bonus rooms, screened-in porches, and interior designs that truly make your house a home. 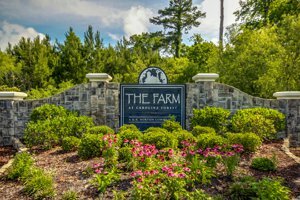 The homes in The Farm at Carolina Forest feature from three to five bedrooms with accompanying bath layouts that meet all of your family’s needs. 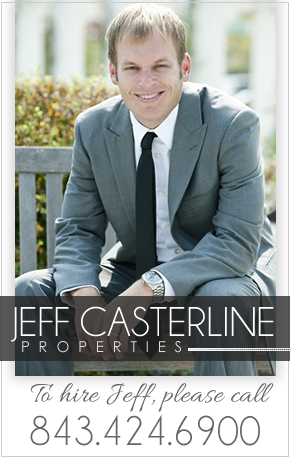 Prices begin in the mid $100s and move to over $300,000 for homes that are larger and have more land. 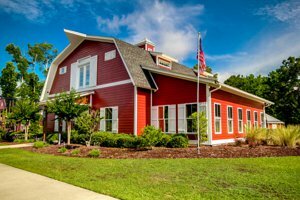 The clubhouse at The Farm is fashioned to look like a red barn to carry out the country theme of the neighborhood. 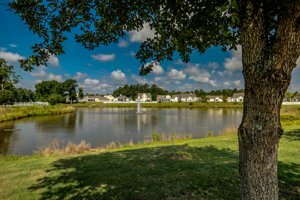 The entire community is replete with lush landscaping, gazebos and gardens, and bike paths where you can work on your physique or teach the children about taking care of nature. 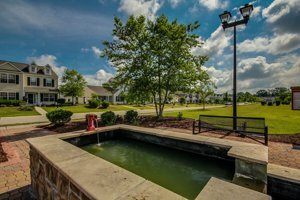 With home ownership here you can enjoy two pools one of which is 8000 square feet, the children can have the time of their lives on the playground, and you can keep fit and trim at the fitness center. 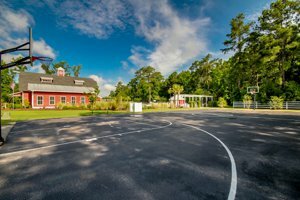 With street names like Red Rooster Lane, Barn Owl Court, and Planters Row Way you and the children can have fun just biking through the community on a lazy afternoon. 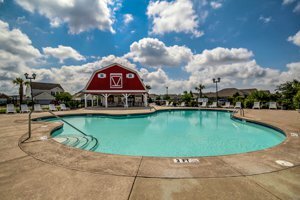 Relax at the pool, host family celebrations at the barn/clubhouse, and explore the neighborhood and all of the wildlife in their natural habitat. 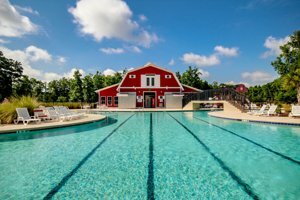 From family cookouts to community events to summer days tanning at the pool, you’ll enjoy your new lifestyle in The Farm at Carolina Forest.